Boston Celtics strengthened their roster with addition of 31-year old point guard Jonathan Gibson (188-84kg-87, college: New Mexico State). It is actually his comeback to the Celtics as he has played here before. 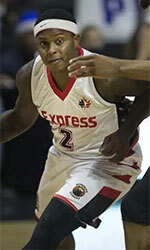 Gibson started the season at Qingdao Eagles in Chinese CBA league. In 44 games he recorded very impressive stats: 33.1ppg, 6.1rpg, 3.5apg and 1.3spg this season. Good year as he was named League Player of the Week. Part of last season Gibson spent at the Celtics where in four NBA games he averaged 8.5ppg and 1.0apg. Gibson also spent pre-season at the Erie Bay Hawks earlier that year. The list of the past achievements is quite long as among others Gibson won Iranian Superleague championship title in 2014. 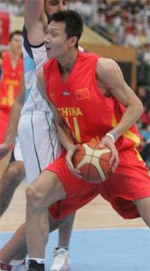 He was also voted Asia-Basket.com All-Chinese CBA Honorable Mention in 2018. Gibson is quite experienced player. Thanks to his pro career he managed to play on three different continents (Europe, Asia and of course North America) in six different countries. Gibson has played previously professionally also in Israel, Italy, Turkey (Trabzonspor and Oyak Renault), other NBA team (Dallas Mavericks) and Iran (Petrochimi). He attended New Mexico State until 2010 and it is his ninth season as a professional player. The scouts decsribe him following way: Perhaps the best 3d year American pro in Europe, Gibson is a candidate to lead any league in scoring he plays in. Lightning quick off the dribble, and with a quick release from three, he is virtually unguardable with the ball in his hands.